Amanda is a lovely long term patient of mine I’ve been seeing for more than 3 years. She has brought most of her family members in for consultations, and they’ve all made significant improvements to their health. I hadn’t seen Amanda for more than 6 months but recently she experienced some significant stress at work and that negatively affected her eating habits and health, so she booked a consultation. Amanda is a nurse and works long hours and does night shifts. There has been a recent restructure at work and it significantly increased her workload. She said to me “I’m now doing the work of 3 people”. When Amanda initially came to see me, she was 15 pounds overweight, suffering with eczema and headaches and a great deal of abdominal bloating. Her belly would start off fairly flat when she woke, but as the day progressed she became more bloated and uncomfortable. She was constipated too, which always made the headaches worse. Her working conditions meant she couldn’t always use the bathroom when she needed to, and that disrupted her bowel habits. In 3 months Amanda achieved a significant improvement in her health. She lost weight, her belly flattened and the headaches disappeared. Amanda was amazed at how much better she was sleeping and that caused a huge improvement in her mood. She hadn’t realized how depressed she’d previously felt while sleep deprived. The energy and clear head she experienced on waking were something she had never felt before. Unfortunately, stress at work caused Amanda to return to some bad eating habits. She came to see me again because she desperately wanted to feel well again. Fatigue and anxiety caused her to start snacking frequently. She said to me that because she often doesn’t have time for proper meal breaks at work, she had started grazing on snacks all day. This made her abdomen get very bloated and gassy. She said “Previously I’d have a flat stomach in the morning, but now I wake up already bloated and it’s hard to find clothes that fit”. 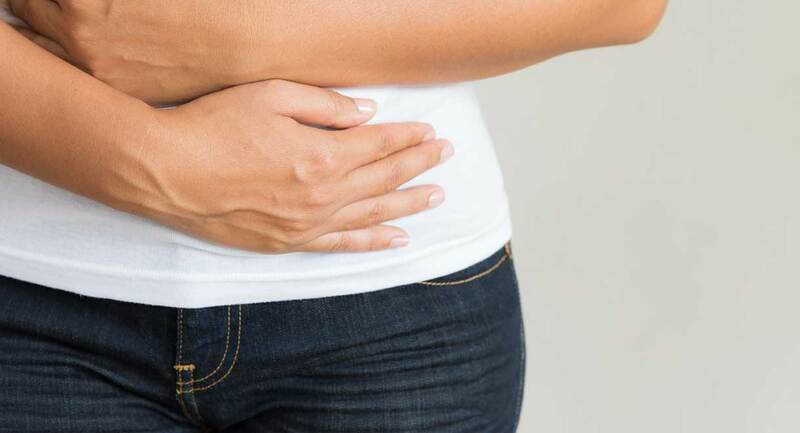 Snacking all day is not ideal for people with digestive problems. It encourages small intestinal bacterial overgrowth because it inhibits cleansing waves in the intestines. No wonder Amanda was so bloated. I put Amanda on my 15 Day Cleanse program. 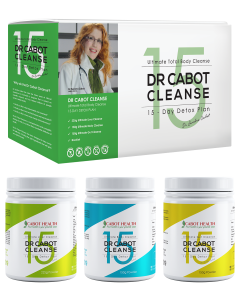 It contains a complete system to cleanse the liver, clean the gut and make the body more alkaline. It also comes with a healthy eating plan and recipes. This program is wonderful for improving energy, reducing sugar and carb cravings and reducing bloating. In only 15 days my patients notice significant health improvements. 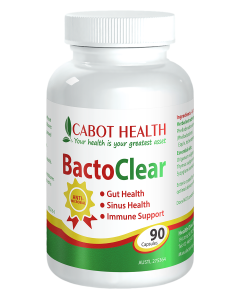 I gave Amanda BactoClear capsules to address the overgrowth of bacteria, yeast and parasites in her intestines. When there are too many harmful bugs in the bowel, they inflame the lining of the intestines and they produce a lot of gases. Apart from abdominal bloating, the gases and toxins secreted by these harmful microbes can have a negative effect on your mood, emotions and cognitive abilities. They had certainly been giving Amanda a foggy head and putting her in a bad mood. I asked Amanda to take one tablespoon of Fibertone powder each evening in a glass of water. It was very important to get her bowel moving properly. It was critical to get rid of the waste that had been hanging around in her colon, poisoning her body from the inside. Magnesium is such a calming and relaxing mineral. It helps improve stress coping abilities and enables a deeper, more restful sleep. With the stress and night work Amanda does, magnesium was critical for improving her health and quality of life. 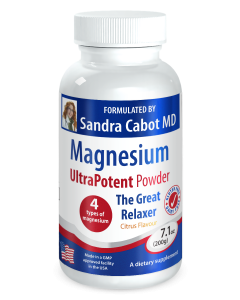 I asked her to take a teaspoon of magnesium powder each day, to help her nervous system and muscles feel more relaxed throughout the day.